I am participating again this year in the Made Course. "Made is an e-course created by Christian creatives for Christian creatives, exploring what it means to be a person who makes things who believes she was, in turn, made by God." This year I won a spot in the course! For week 1 we looked at metaphors - symbols for how we view ourselves in relationship to God, how we view God, and how we view our journey with God. 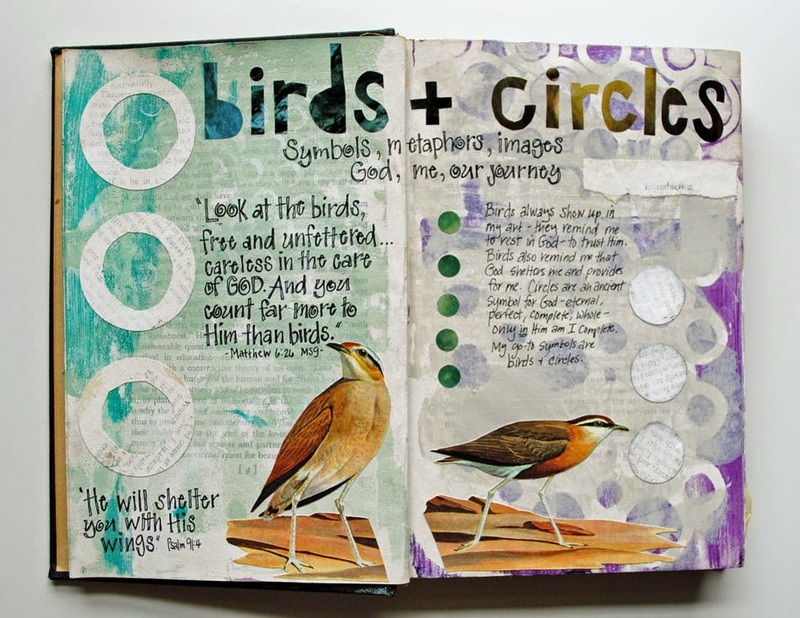 Birds and circles are symbols that often appear on my art journaling pages. In Matthew 6:25-33, birds are a symbol of trust and dependence on God. They symbolize one who rests in the care and provision God lovingly provides for His created ones. Throughout the Psalms birds also symbolize God as one who shelters and protects His children ~ He shelters them in the shadow of His wings (Psalm 91:4). Circles are an ancient symbol for God representing His eternal nature, perfection, completeness, being whole. They also stir up a desire to be made whole, representing God's transforming activity in our lives. 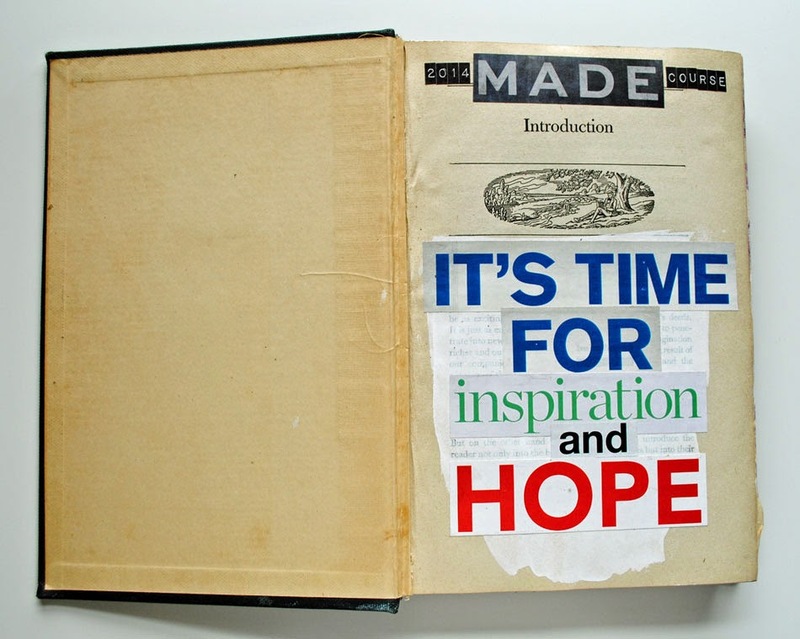 I made an altered book journal to hold my Made Course art journal pages.